Jesse recently visited Sklarbro Country (the podcast of Jason and Randy Sklar) to deliver a very funny fantasy report that does not discuss any aspect of the upcoming NFL season. You can find the episode, "Twitter King Me", here. Jordan Morris on "The Anytime Show"
Jordan will be this week's guest on the "The Anytime Show". Keep an eye out for the episode and, if you're in Los Angeles, come out and watch Morris record the show live with host Dominic Dierkes. According to British comedian and author Andy Zaltzman, when the British tabloid The News of the World was accused of wrongdoing in the now infamous phone-hacking scandal, the paper "did not just cross the line . . . it drove through the line in a high-speed tank, reversed back over the line, picked it up, taped the line back together, headbutted it, released the line into the woods, ran after it, kidnapped it, chained it to a radiator in its dungeon, fed it half a slice of stale bread and a glass of water every day, and whacked the line round the kneecaps with a baseball bat before releasing it and saying, 'Right, line, I never want to see you anywhere near one of my articles again, comprende?'" That's a quote from the July 10th 2011 edition of the topical British comedy podcast The Bugle. 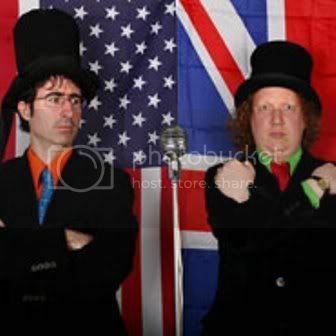 The Bugle is hosted weekly by Zaltzman and Daily Show correspondent John Oliver. As a popular new satire program, it wouldn't ordinarily be surprising to hear the hosts make scathing jokes about the almost-too-shocking-to-be-real hacking scandal and subsequent shuttering of The News of the World. But it was certainly a bold move for a podcast that is presented by a paper that is actually part of the News Corp. empire. "In full disclosure," says Oliver during the show, "this podcast is presented by The Times of London - a sister paper of The News of the World. 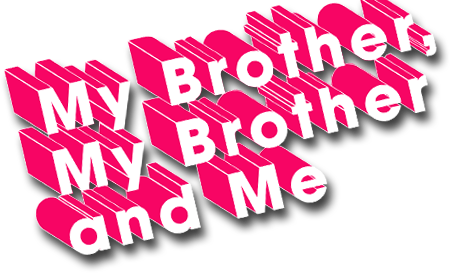 But more of an older, more mature, less slutty sister than its tear-away, shameful, dirty younger sibling who has repeatedly brought disgrace upon the whole, admittedly flawed, family." While many Murdoch-owned publications downplayed news of the scandal's most appalling allegations, the Bugle refused to hold back. For example, at one point during the show Zaltzman jokes that his grandmother-in-law got a telegram from the queen for her 100th birthday and that he hacked into it as per "company policy." Later, Oliver tells Zaltzman to "[d]elete your emails, Andy -- quick!" To learn more about The Bugle, check out this summary of the show from our own Podthoughts column. You can also find the show on itunes. And if you've been hiding in a cave all summer and missed out on hearing the details of the hacking scandal, you can catch up quickly by watching this clip wherein John Oliver (at his other job) provides an impressively concise and scathing summary of the key allegations to date. If you've got the BlackBerry Podcast App, you'll find our shows in the directory to subscribe and download right to your phone. Podthoughts by Colin Marshall: "The Criterioncast"
Talk about a podcast custom-made to win over your Podthinker. First — and most importantly — it's a podcast. That's step one. Second, it's about film, and it's been clearly, laboriously, repeatedly documented here how much your Podthinker loves himself a fine film. Third, it focuses specifically on films released for home viewing by The Criterion Collection, the company that not only puts out the vast majority of DVDs — and, time was, laserdiscs; time is, Blu-Ray — worth watching, but whose noble hand has somehow selected most of your Podthinker's very favorite movies. Like certain other podcasts of cinema that shall remain nameless, The Criterioncast [iTunes] [XML] is one of those affairs where a bunch of dudes connect over Skype and move from segment to segment, some about individual films, some about a handful of related films, and some about what-the-hell-ever. They build the main episode around a core discussion of one particular Criteron release, including such all-time Podthinker-preferred immortals as Mike Leigh's Naked [M4A] (bribery! ), Andrei Tarkovsky's Solaris [M4A] (bribery!) and, best of all, Yasujirō Ozu's Late Spring [MP3] (oh, such bribery!). Enclosing these directly evaluative examinations are, on the top end, speculations about cinematic news Criterion-specific and otherwise, and, on the bottom end, Criterion trivia contests and segments called "Variations on a Theme", where the crew picks one theme from the episode's featured film and talks about others with that theme. In Nicholas Roeg's The Man Who Fell to Earth's show [M4A], for instance, their conversation covers other appearances of rock stars in film, from Bjork's turn in Dancer in the Dark to Alice Cooper's in Wayne's World. A discussion of the effect of growing up in a rural community followed the collective review of David Gordon Green's George Washington [M4A]. This sort of defined expansion on thematic lines is especially neato because of how rare it is in the film podcasting world; most programs just kinda meander their way there, if they do it at all. The Criterioncast guys save the bulk of their meandering for their "disc two" episodes. See, just as Criterion often sees fit to include entire second discs packed full of special features in their DVD packages, so the Criterion-casters include a few "special features" of their own in the separate, supplementary podcasts that follow the main ones. These serve as repositories for responses to reader mail, conversations about non-Criterion stuff worth watching and chances for listeners to get to know the three hosts a little better. Rudie, Ryan and Travis (of whose jib your Podthinker particularly likes the cut) certainly know their cinematic stuff, though they do sometimes fall into that uncanny valley where their mistakes stand out due to their sheer rarity. It reduces your Podthinker to truly ugly moments of film geekery wherein he exclaims things like, "No, Jon Raymond didn't direct Old Joy! He wrote it! Kelly Reichardt directed it! Jon Raymond wrote it!" Everyting about this podcast is solid, except maybe the sound, which appears to have been recorded on only one of the host's computers, which captures sometimes ugly Skype-y audio for the rest. Fortunately, there is a solution to this: if they all record their audio separately and then someone edits it together, it could potentially sound flawless. Sure, it's quintuple the work, but it's at least sextuple the quality. Alas, it nevertheless cannot be ignored that producing this podcast amounts, in effect, an act of Podthinker bribery. Given Podthinker bribery's stringent punishment as prescribed under federal law, these guys have a lot to worry about. And they'll have a really hard time explaining this suitcase full of coke.